I’ve been obsessed with my leather jacket from BlankNYC ever since I got it. I love the cut and the extra zipper details and how it just looks good with everything. I was all heart eyes ? when I saw it in this beautiful blush color! 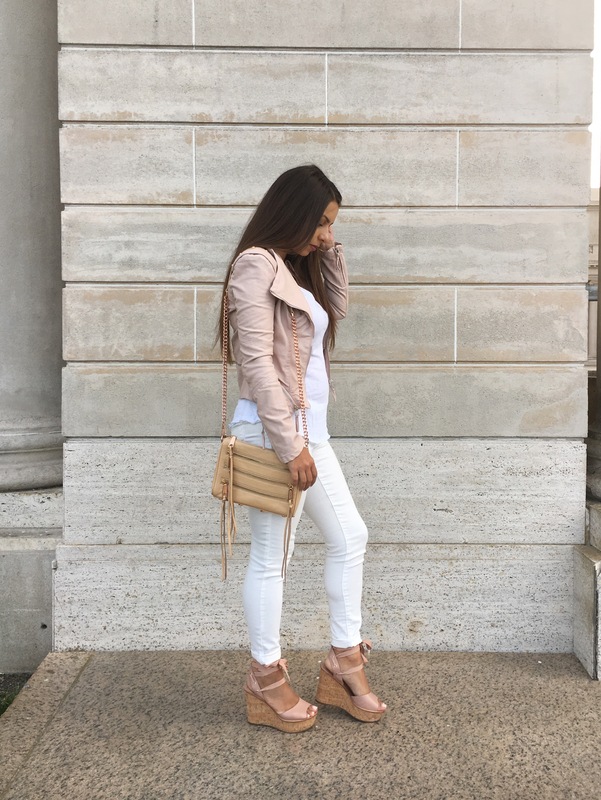 I’ve been wanting a lighter color leather jacket to go with other outfits and this one is just perfect! Every season they come out with new colors in this jacket, but I have to say this is by far the prettiest!